Hey Friends! I’m so excited to share our new modern coffee table with you all! 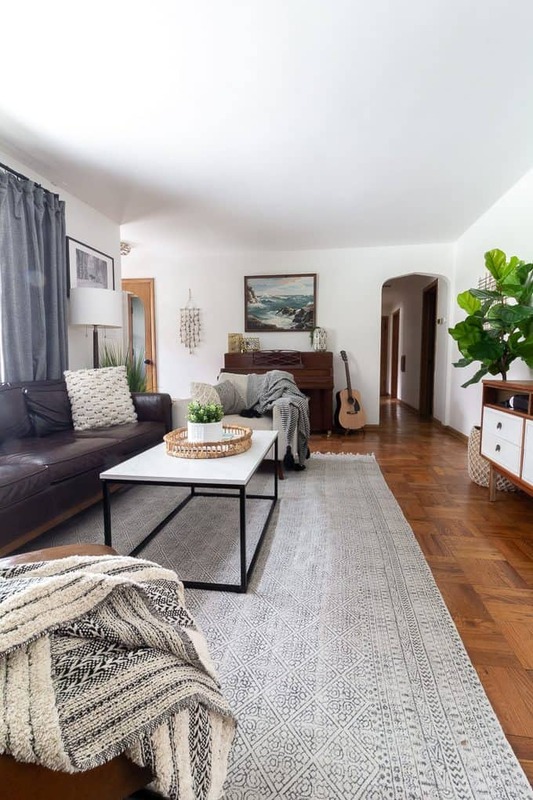 Until recently we had a gorgeous Mid-century coffee table, that I really loved, although it wasn’t working for this space. It wasn’t quite big enough for most of the board games we like to play, and I felt like we just had too many wood tones going on. Durability– Will kids be playing on the table? Do people put their feet up on the table? If so a glass table probably isn’t the best option. Also do you want to use coasters or not? We always use coasters but a real marble or glass table would eliminate this need. Also how long do you expect the table to last? If you want it to be an investment piece then only purchase natural materials, leather, and real wood. The table we purchased has a laminate top but only cost $99… if it only lasts a few years I won’t be disappointed. 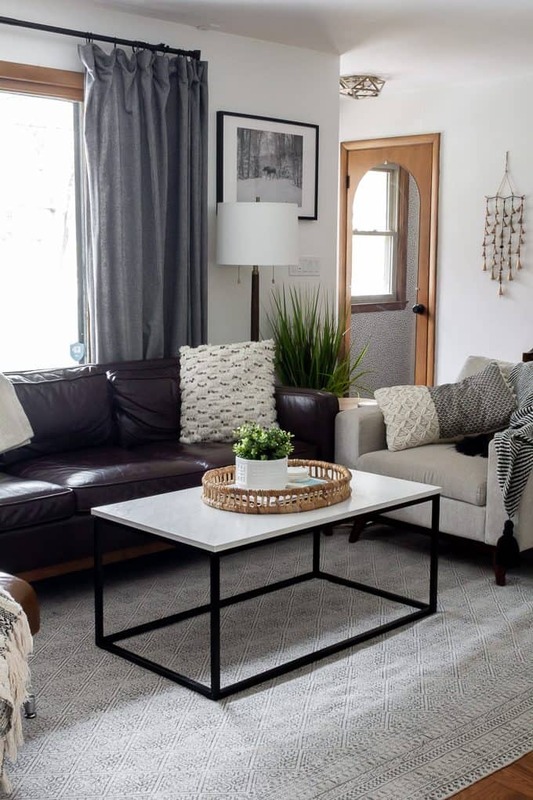 Size– How big is the sofa in your space? 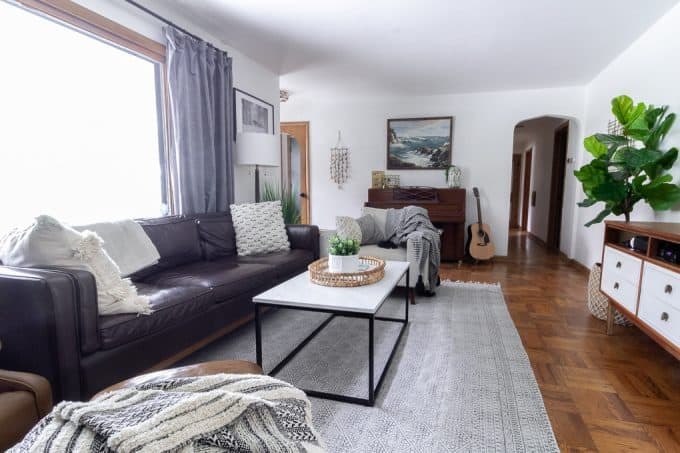 Our living room is small so a smaller table works, but with a huge sectional or long sofa some coffee tables would be dwarfed. Similarly how tall is your sofa? I wouldn’t want a coffee table that’s any taller than the seat of the sofa. Also be sure that you have space to completely walk around the coffee table on all sides. Function– Are you gamers? For us being able to fit a game of Splendor or Catan is a must! Do you want to be able to set drinks on the table? If so an ottoman won’t work without a tray. Again… do you put your feet up on the table? Maybe an ottoman is best if this is the case? 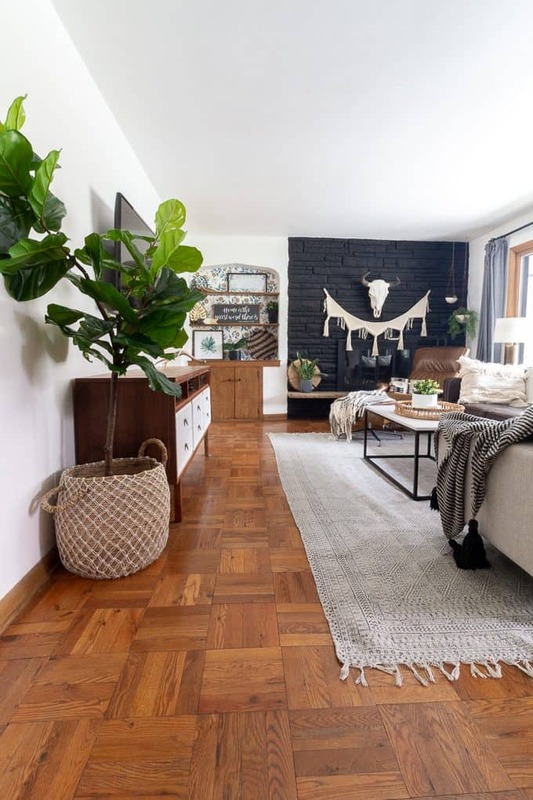 Color/Finish– What are the other finishes in the space? I don’t like the look of a coordinating set of coffee tables, but I also want ours to work with our end tables. We have a black drum table, and a natural wood table, so I didn’t want to clash with those finishes. Also we have a leather chair and a different leather sofa… this meant it would be really difficult to find a leather ottoman without having too many leathers in the space. 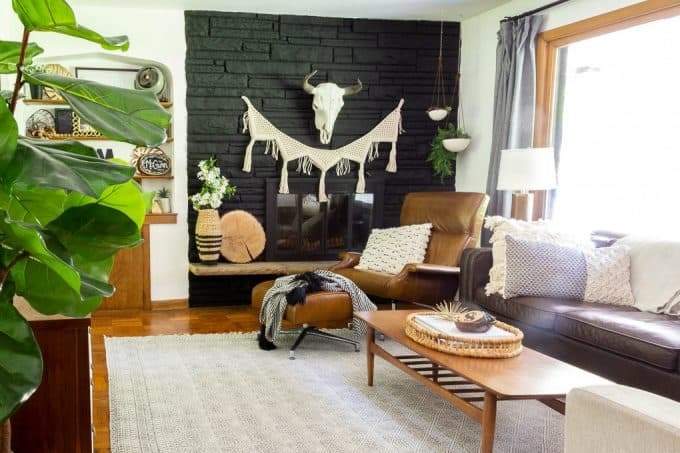 If I only had one dark leather I’d have definitely gone with one of the light leather ottomans. Similarly what are your floors? In our case they’re an orange-y parquet, so I felt like most wood tones felt like orange overload. If I had dark wood floors I’d consider a light wood table, or vice versa. Ultimately I just don’t think the space should feel too matchey-matchey. 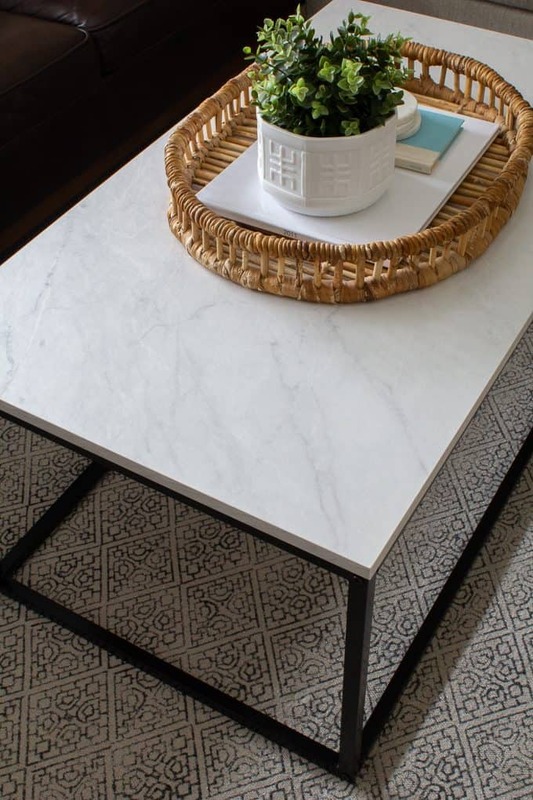 I’ve rounded up some of my favorite affordable modern coffee tables from Wayfair, CB2, Overstock, Amazon, Target, and West Elm. These are typically my go-to places for most home decor. Thanks a ton for stopping by and reading today! I hope this guide was helpful if you’re considering a new coffee table! I hope you love these options as much as I do! Now I wish I had more places to put coffee tables!